FrontSight Ministry began at a church, as a small Military Veteran Ministry. Since moving out of the church in 2014 and into our own facility we have created and environment that provides biblical guidance and healing. Daily we open our doors and begin with 9:00am devotionals. This is lead by veterans while enjoying that camaraderie and fellowship we are familiar with. 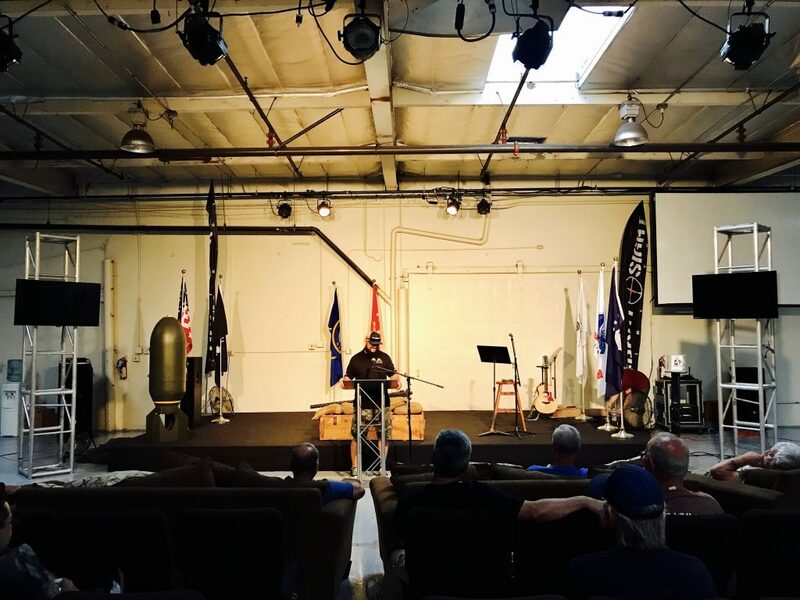 Tuesdays evening at 7:00pm, Frontsight Ministry holds Chapel service for Veterans only. For some this is the closest they will ever get to a church. Each service is led by a veteran from any branch of service. Every week at this time it closely resembles times back in the barracks or just hanging out with your brothers and sisters in arms. “Friday Night Breakout” – Every Friday at 7:00pm, the veteran is encouraged to bring his or her spouse. This is one of the more special and powerful times of week here at Frontsight. Many veterans and spouses have walked away from these nights and have have acknowledged their marriage is now on the path of being redeemed. Like all of our services Our Ministry is operated by veterans and volunteers. There are no Pastors, psychologists, psychiatrists or counselors. Here we acknowledge that there is one true healer, our Lord and Savior, Jesus Christ.